Raikkonen said the tyres were working better on his second attempt but when he came up behind a Toro Rosso he knew any chance of a good result was effectively over. It’s not about him getting old….. It’s the way qualifying is last few years and with these kind of tyres, Kimi is the one who suffered the most from these changes. For some reason he always gets the worst luck. But it takes only 1 time when he can run his own thing and the result shows. Just look only some weeks ago in Bahrain everybody were suddenly saying, ‘old iceman is back’, bla bla blaa, etc etc. It is what it is, bad luck but also inability to put down fast lap on the get-go with these tires and today’s formula.. Who knows, maybe in part it’s also due to fact he also wants to be with his girl and boy. 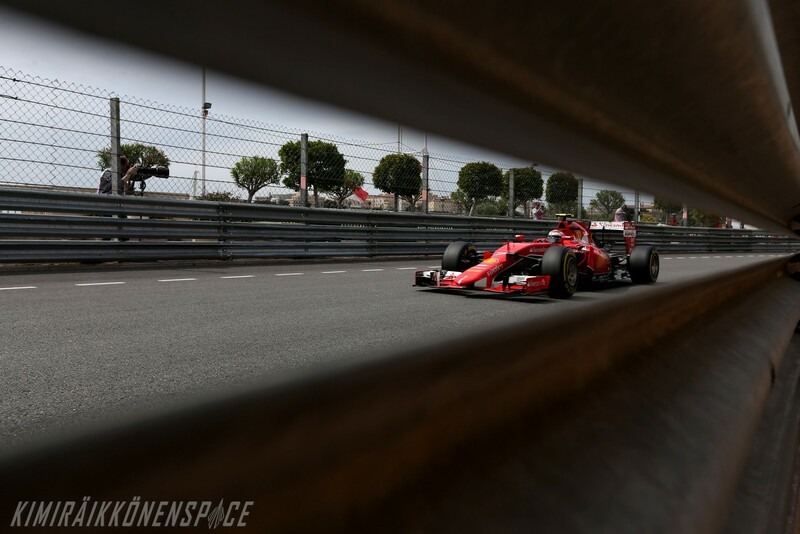 kimi oh kimi…..common guys be objective. Kimi’s season is no better than last year and it looks like his not even making the effort to race for a contract…..
Must disagree with you, Kimi’s quali was hampered by being held up by a Toro Rosso. Also the construction of this year’s tyres combined with his smooth driving style makes it more difficult to get the tyres sufficiently up to temperature – conversely, this helps him in the race when he can save his tyres and run longer stints. He’s still an awesome driver. and he never gives up. Yep, and it’s cos of these dumb ‘conserving’ rules of tyres, fuel, engine etc, Kimi can’t even attempt to warm up his tyres more in qualy as it’ll hamper his tyres/sets for the race then Unfortunately he’s gonna suffer as long as it’s like this.